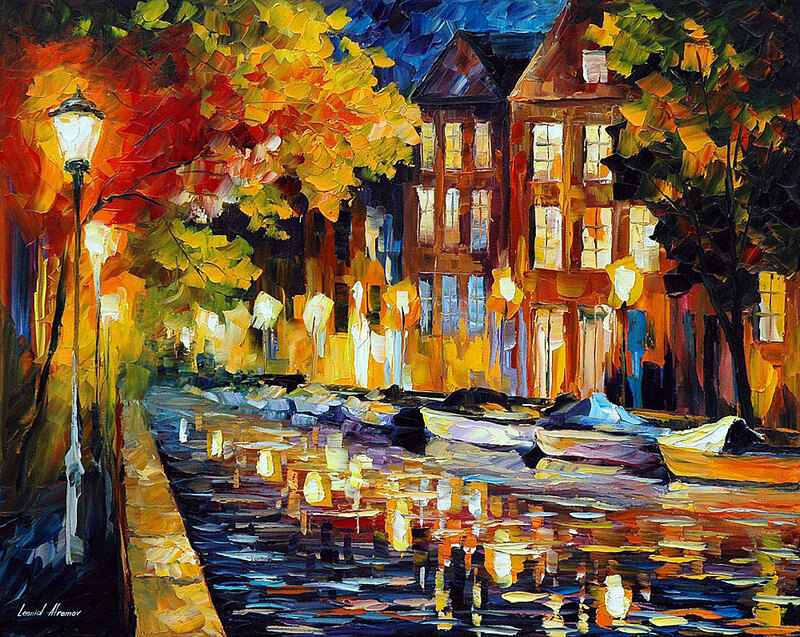 NIGHT IN AMSTERDAM — PALETTE KNIFE Oil Painting On Canvas By Leonid Afremov - Size 24"x30"
I would like to present my hand painted oil on canvas painting (recreation) of the artwork NIGHT IN AMSTERDAM. I made this piece with the same amount of soul and emotion just like the first original painting. This piece is created with oil paint on artistic canvas using my unique technique of a palette knife. The artwork has texture, you can feel the strokes by touching the painting. By purchasing on this site, you are buying directly from the artist Leonid Afremov. I guarantee your satisfaction and the best customer experience.